Why do we 'sleep tight' or 'keep mum'? Who or what is a quaaltagh, or a dorbellist? Michael Rosen is joined by writer Paul Anthony Jones, creator of etymology blog Haggard Hawks. Why do we 'let the cat out of the bag' or 'go the whole nine yards'? What is a hackle and why might it be raised? What does it mean to 'fribble'? Or to have a 'schnapsidee'? And what are 'cupid's kettle drums'? 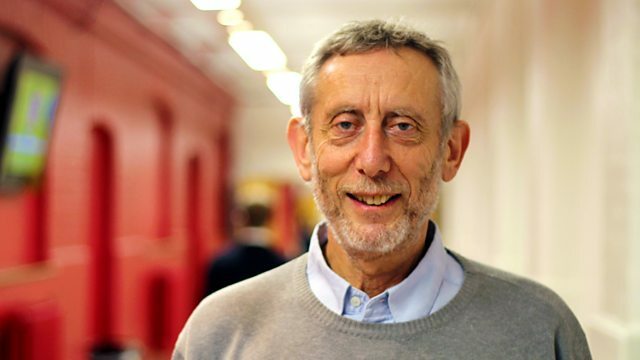 Michael Rosen and Dr Laura Wright are joined by Paul Anthony Jones, the writer behind the popular etymology blog Haggard Hawks to talk about the origins of common idioms, the stories behind words we use every day, and the forgotten words Paul would like to see brought back into use. Paul is the author of six books of word lore and linguistic trivia, including Haggard Hawks and Paltry Poltroons: The Origins of English in Ten Words, The Accidental Dictionary: The Remarkable Twists and Turns of English Words and - most recently - The Cabinet of Linguistic Curiosities: A Yearbook of Forgotten Words. Series of programmes examining key phrases in public debate. Some facts about emoji - possibly the world's first truly global form of communication. Have a look at some of the fantastic words that children invent and reimagine.